Stamford garage doors and gates, offer same day repair and installation services of garage doors and gates in Stamford CT. From Garage Door repair, to overhead door installation. You are in the right place. Beside Stamford, we also offer SAME DAY Overhead door repair service in Greenwich CT and the area. To get your overhead door in Greenwich CT working again today, contact us. 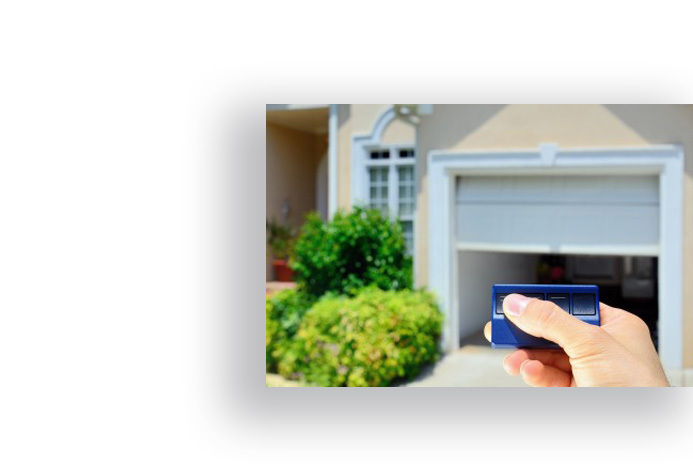 Stamford Garage Doors And Gates offer same day garage door opener and spring repair. 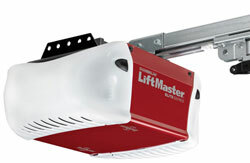 We carry openers from leading brands and spring for all kinds of Overhead doors. From opener repair to spring replacement, WE WILL FIX YOUR GARAGE DOOR TODAY! Same day repair service for all kinds of garage doors in Stamford. New garage door installation in Greenwich CT.
Service for commercial and residential overhead doors in Stamford. Stamford Garage Doors And Gates offer same day garage door repair in Stamford, Greenwich, Danbury and Fairfield County Connecticut. 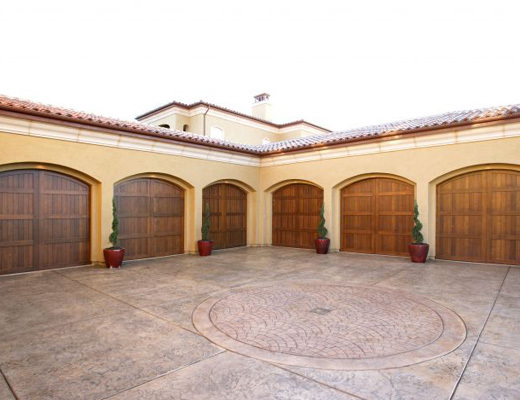 We know that sometime the garage can stop working at the most inconvenience rime, and it may be important for you to get your garage door repairs ASAP. To achieve that, and to provide you with the quick and efficient garage door service that made us so famous in Stamford, we carry with us all the parts and tools which are required in order to repair any garage door in Fairfield County on the spot. We carry springs, pulleys, cables, rollers and openers from leading brands such as Lift Master, and we always do our best to provide a professional garage service in Stamford, which include - beside repairing the garage door - a garage door maintenance service, that improve the way the every overhead door operate, and preserve the door and its parts. So if you are looking for a garage company in Fairfield County, that will repair your garage door today, we will be the best decision in Fairfield County CT. Whether the spring broke in Stamford, the opener doesn’t respond in Greenwich, the garage cable snapped in Danbury, or the overhead door went out of its tracks in Fairfield County CT, we can help. After many years of repairing overhead garage doors in Stamford Connecticut, no repair project is too complicated for us, and there is no problem we cannot fix. We proudly offer emergency garage repairs in Stamford, to help you whenever you are going to need a garage door repairman in Fairfield CT to assist you. Yes, sometime during our garage services in Stamford, we see doors that it may be better to replace the garage door with a new door, since fixing the door may cost you more than it will cost you to completely replace the door or the opener unit. And sometime to repair the door, and it doesn’t matter if you found the best garage company in Stamford to fix the problem, will be unsafe, and may put you, your family, and Stamford Garage Doors And Gates at risk. In that case, we will let you know what need to be done, and what are your options, and you will make the decision. But if there was one thing we learned about garage door repair in Stamford, in Greenwich or anywhere else, is that to repair the problem is never enough. A good overhead door repairman in Stamford should also be able to locate the cause to the problem, and fix it as well. Many times, when we arrive to examine a garage in Fairfield County, we discover that the reason is just poor maintenance or no maintenance at all. But we have also learned one thing: it doesn’t matter if it is a garage door repair in Westchester New York, or a garage door repair in Greenwich, every overhead door need to be maintained, and preferably twice a year. To make sure it will continue to operate, and that you won’t need to contact a garage company in Stamford CT anytime soon. If you are looking for new garage door installation in Stamford CT, or looking for a professional garage doors contractor in Fairfield County Connecticut to give you an advice whether to repair or to replace the garage door or the motor, Stamford Garage Doors And Gates can help. We believe that when you are searching for garage replacement in Stamford, you should be looking for 2 important things: A local professional and experienced technician who performed garage projects in Fairfield County; and a high quality garage door and parts from a leading garage door supplier in Stamford CT. If you live in Greenwich, IN Stamford, in Danbury, or in Fairfield County, and you are looking for a company that can provide you with those 2 things, you are in the right place. Stamford Garage Doors And Gates offer high quality garage doors from leading brands in Fairfield such as Amarr, Clopay, Wayne Dalton, Genie, Lift Master and more. If you are located in Stamford, and you are looking for a new garage door, you better call us today, for professional service in Stamford CT and the area. We believe that a new garage door in Stamford that was recently installed, should perfectly work for many years, and if it was made from the right materials, it can easily serve you for more than 20 years. And since a high quality garage door like the garages that Stamford Garage Doors And Gates supply can last for many years, we recommend you to install a high quality overhead door. Beside the fact that the door will last for so many years, and you will rarely need to look for a garage door repairman in Stamford to fix your garage, you will feel the difference every time you are going to use the door. Because quality is something you can notice. And when it comes to quality garage doors in Stamford Connecticut, we are the answer. As we explained, to achieve the goal of a high quality garage door, Whether it is new garage installation in Greenwich or in Stamford, there is one more thing that should be provided to you, and that is a high quality installation job. When the installer is trained and experienced in installing garage doors in Fairfield County, he will have the knowledge to overcome obstacles that may accrue during the installation process, because no 2 garage doors are the same, and some installation involve other knowledge that only years of repairing and installing garage doors in Stamford can teach. Some o9f our garage customers in Stamford think that if their garage is detached from the house, they shouldn’t purchase an insulated garage door. But the insulated door not only offer insulation, but it is also stronger since it include more material which increase the strength of the sections. If you live in Stamford, and looking to purchase an insulated garage doors, call us for a same day service in Stamford. One of the questions we are facing every day during our garage services in Stamford CT, is whether to repair the current door, or replace it with a new door. We believe that it doesn’t matter if it is a garage door in Greenwich, a garage door in Danbury, or a garage door in Brooklyn New York, there is no way to give a professional answer to this question over the phone, and only when we will come to your place and examine the door, we will be able to give you a professional answer whether to repair or to replace. After years of installing garage doors in Stamford, we have the experience to give you an advice based on knowledge, and make you make the right decision whether to repair or to replace the garage door. Your overhead garage door in Stamford is the largest moving object in our house, or in our business if it is a commercial overhead garage door. Some overhead doors in Stamford can weight hundreds of pounds, and the reason that they are so easy to open and close is that there were many calculations made, to ensure that the door will easily go up, and slowly go down while remaining balanced. What help making the door so easy to operate is the spring system, which is calculated so the right spring will match the overhead door. But even if your garage door is working perfectly, and the opener respond whenever you need it to, there is one thing that every overhead door in Stamford CT need, and that is the garage door maintenance. Whether it is residential garage door in Greenwich, or commercial garage door in Stamford, every garage door need maintenance. You may wonder if that is really necessary since the door is working fine, and we will answer that if you want it to continue to work like that, perform a maintenance. The maintenance of a garage in Stamford is not a complicated process, and you can do it by yourself, or you can contact a garage door company in Stamford to do it for you. But no matter, what do not ignore that need for maintenance. 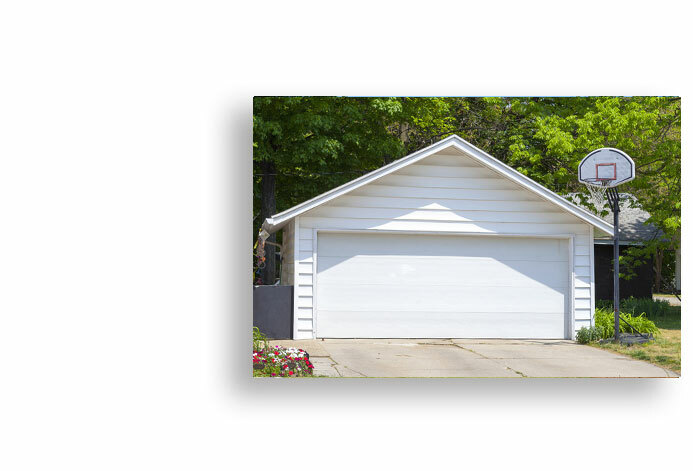 You will surprise how big is the difference between a garage door which was just lubricated, and a garage that was never maintained. If you need a garage maintenance service in Stamford, contact Stamford Garage Doors And Gates for professional assistance from one of the leading garage doors companies in Fairfield County. Like we said, an overhead garage door in Stamford can weight few hundred pounds, and as such it can be dangerous and even deadly. If you are located in Stamford CT, and your garage door is out of track, if the spring snapped, the pulley is broken, or any other reason that prevent the door from working, we suggest that you stop using it, and contact us for a same day repair in Stamford CT. We repair garages from all brands and models in Stamford, commercial and residential, and we carry with us parts that will fit any garage in Stamford and in Fairfield County. If you live in Stamford, and your garage door spring snapped, it doesn’t mean that you need to replace the door. It just mean that you need a garage supplier in Stamford who carry different springs for the type of garage doors which can be found in Stamford. We carry springs for all garages in Stamford, including torsion spring and extension spring, and we offer same day spring replacement in Stamford. Same day repair service Stamford. Emergency garage repair service in Stamford. New garage door supplier in Stamford. Garage door tune-up in Fairfield County CT. Same day garage door service in Stamford CT.
Garage door repair in Stamford CT.
Garage door tune up Stamford CT.
We offer same day overhead door repair for commercial and residential garage doors in Greenwich CT. We repair and install garage doors in Greenwich, Stamford, and Fairfield County CT.
Great Garage door repair service for a very reasonable price! They came quick, on time, and charged me what i expected. I will definitely use their services again. All they needed to do, was to adjust my garage door operator in the garage. They came on time, adjust the door, and charged me only 55$. Fair price. You are the best! I already made arrangements to rent a car, since I didn’t think you will come so quickly and open the door. I really appreciate the help. The new opener is working great. I am so glad I listened to your advice and installed a belt drive opener for my overhead door. I barely hear it and that is what I always wanted. Thanks. They came on time, they charged me 125$ to replace a broken spring, now the garage door is working fine. Fair price for a job that took them 35 minutes. My garage door opener was working half way and needed to be repaired, the door was opening and then close back by itself. I thought i will need to change the opener, but the guy said that the problem is the senores. he replaced them and charged me 95$. What a relief..
Stamford Garage Doors And Gates provide high quality garage door service in Stamford CT and in Fairfield County CT, for reasonable prices. To achieve that, we offer a same day garage door repair in Stamford and Greenwich Connecticut. Read reviews about Stamford Garage Doors on Yelp.